In November, the Belarusian president held meetings with leaders of Azerbaijan, Russia, Slovakia, Turkey, and a high-level EU delegation. The Slovakian Prime Minister's visit to Minsk ended a six-year long hiatus in bilateral visits of European leaders to Minsk. Alexander Lukashenka now seems to be more comfortable meeting with European emissaries than with Vladimir Putin. Negotiations with leaders from ‘Distant Arc’ countries focused on trade and investment but also had geopolitical significance. Belarus is seeking to avoid being caught in a tug of war between Europe and Russia. On 11 November, Turkish President Recep Tayyip Erdoğan paid an official visit to Minsk to hold talks with President Lukashenka. The two leaders signed several bilateral documents, opened the first cathedral mosque in Minsk, and chaired a business forum attended by nearly two hundred Turkish business executives. Erdoğan was expected in Minsk on 29 July. However, he had to postpone his visit after the fail coup attempt in Turkey. The two countries had been preparing for the meeting even amidst the crisis in relations between Turkey and Russia, Belarus’s closest ally. Lukashenka and Erdoğan discussed trade and investment relations focusing on cooperation in manufacturing advanced technology products. Both presidents are aiming for a $1bn turnover. However, this figure would be hard to achieve. The current growth trend may be explained by Turkey’s recent attempts to circumvent Russian sanctions – but this may not be permanent. Belarus has provided Erdoğan with a convenient example of a European ‘illiberal democracy’. Both leaders share a preference for strong presidential power and use of the death penalty. This may facilitate cooperation between the two authoritarian leaders. On 28-29 November, Lukashenka visited Azerbaijan to meet with his counterpart Ilham Aliyev and the country’s Prime Minister Artur Rasizade. The two countries stick to a regular schedule of high-level meetings focusing on trade and investment. Despite close contacts, bilateral trade has remained low in recent years, dropping by two thirds in 2015. Lukashenka has traditionally pitched Belarusian tractors and trucks as well as military equipment. This year, for the first time, the countries agreed to cooperate in the energy sector. Belarus recently bought 84.7 thousand tonnes of oil from Azerbaijan, likely as a political gesture to show that Belarus is exploring alternative sources of oil supply. Speaking to journalists, Ilham Aliyev sounded uncertain as to the long-term nature and sustainability of these operations. On 25 November, Slovakia’s Prime Minister Robert Fico paid an official visit to Belarus. The last EU leader to visit Belarus with a bilateral agenda was Lithuania’s President Dalia Grybauskaitė in October 2010. In Minsk, the Slovakian official held talks with his Belarusian counterpart Andrei Kobyakov and met with Alexander Lukashenka. Fico and Kobyakov signed a joined communiqué emphasising cooperation in tyre manufacturing, energy, and the automotive, food, and pharmaceutical industries. Despite the fact that Slovakia currently holds the EU presidency, the country’s prime minister can hardly be seen as representing an agreed-upon European position towards Minsk. Fico has been known to take a divergent position on Russia in the EU, based on the concept of ‘Slavonic solidarity’. In Minsk, Fico called Belarus ‘a friendly country’ and reckoned that the situation there has improved. He also expressed satisfaction with the abolition of sanctions against Belarus, calling them harmful and meaningless. Upon returning to Bratislava, Fico had to defend his visit to Belarus and his encounter with Lukashenka on a local television programme. He compared his trip to Minsk to the meeting of German and French leaders in the Normandy format in Belarus in February 2015. A few days earlier, on 21 November, Alexander Lukashenka received a delegation of the Political and Security Committee of the EU Council. The policy-setting officials held meetings with Belarus’s foreign minister Vladimir Makei and opposition activists. The Belarusian president emphasised Belarus’s role as a ‘pole of stability’ in the region. In return, he sought Europe’s support in strengthening the economic independence of his country. At a meeting with opposition leaders, The EU delegates asserted that they were ‘not naïve nor blind’ as to problems with democracy in Belarus. A participant of the meeting told Belarus Digest that the delegation’s attitude towards the opposition had been ‘quite sympathetic’, and that they had displayed a certain level of mistrust towards the authorities. The activist also stressed that this ambiance contrasted somewhat with the dominant mood during similar meetings with Polish diplomats recently. On the day after his meeting with EU officials, Lukashenka had a five-hour long meeting with his Russian counterpart in Moscow. Meanwhile, Vladimir Putin was quick to highlight that this was only a sideline event to the celebrations of the 70th birthday of Patriarch Kirill. Before the summit, Russia had signalled via Alexander Surikov, its ambassador to Minsk, that the resolution of economic disputes between the two countries would depend on the results of discussions of political issues. Moscow has been blackmailing Minsk into downshifting the pace of its relations with the West while stepping up military cooperation with Russia. Deadly silence on the outcome of the meeting has provided a clear indication of its failure. No progress was reported on the outstanding issues of gas price and oil supply in the two weeks that followed Lukashenka’s visit. Instead, Moscow has attacked Minsk with its powerful propaganda machine, using its TV channels, media personalities and even the Russian Orthodox Church. They have denounced anti-Russian and pro-Maidan sentiments in Belarus and lauded past Russian imperial figures who played a tragic role in Belarus's history. Russia has also intensified its efforts to force Belarus into agreeing on a single visa policy. Moscow’s weapon of choice has been the newly introduced prohibition on travel of third-country nations across the Belarus-Russia border. This measure has negatively impacted Belarus’s status as a transit country. Lukashenka’s recent diplomatic activities have aimed at finding new sources of exports revenue, investments, and loans which would compensate the exhausted flow from Russia. These efforts are unlikely to have an immediate pay off. Meanwhile, Russia is stepping up its pressure to bring Belarus back into its orbit. Nobel laureate Alexievich opens intellectual club in Minsk. Mediakritika’s manual receives a prestigious ADAMI award. First ever online map of sexual violence against women launched. Costs of protest: info-graph (based on fines). Budźma and SYMPA organise Fair of City Projects in Maladziečna. RADA invites for talks with youth activists. Students launch a campaign to reform the obligatory assigned placement for the first job. Community change award. On 11 December, Office for European Expertise and Communications (OEEC) together with CityDog, 34mag.net, Imena online magazine and platform Talaka.by invites to the awards ceremony in community development Zrabili!/ Done! The award is given to the most efficient activists who could change the life in their communities and became heroes of the Belarusian media in 2016. Fair of projects in Maladzyechna. Budźma campaign and SYMPA organised in Maladziečna, Minsk region, a discussion of 10 local projects submitted for the Fair of Projects. CSOs, initiatives, and individuals presented their vision of what should be done in the town to improve it – from the parking for bicycles to the analysis of the land amelioration effects. Petitions.by celebrates one year. For the year, the Convenient City non-profit resource created more than 400 civil petitions, signed by 30-35 thousand people, with 60% of the issues solved. The resource aims to create an infrastructure for people to collect signatures and coordinate their efforts. 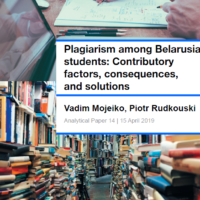 Political implications and financial transparency are the two most painful topics for Belarusian officials. School of Mayors. Organised by Budźma campaign and SYMPA, the programme aims to develop the knowledge and skills of activists from all regions of Belarus to participate effectively in the development and implementation of regional policies for sustainable development, inter-sectoral dialogue to protect and promote the public interests. Deadline for applications is 25 November. RADA Talks. On 3 December, Belarusian National Youth Council RADA invites to the brunch to talk about the purposes, motivation and personal life of young Belarusian activists. The brunch is to be led by youth political and civic activists. The event will take place at the Minsk Gallery Ў. Student Leadership Academy invites students to participation. Organised by the Centre for Development of Student's Initiatives, the educational 6-month program includes workshops, study visits and the project implementation. The Academy offers scholarships for 20 selected fellows and has four faculties: student rights, quality education, student self-government and public campaigns. Students launch a campaign to reform the obligatory assigned placement for the first job. The campaign runs under Student Week, dedicated to the International Students Day. An electronic platform Zvarot.by provides an opportunity to sign a collective appeal to the Ministry of Education and the Parliament to cancel the obligatory assigned placement for the first job for graduates. The campaign runs by Studenckaja Rada youth NGO. The first in Belarus interactive map of sexual-based violence against women launched. The online map allows any Belarusian to leave a message what street and what house are not safe because there was violence committed against a woman. The project is implemented by Radislava NGO and aimed to make visible the real extent of gender-based violence in Belarus. Hotline line for women sums up its 6-month activity. The service works at the Centre for promotion of women's rights Her Rights. For the first 6 months the lawyers assisted to 72 women. Most frequently Belarusian women need help in family conflicts as well as issues with employers. Legal Initiative CSO launches free online consultations. The website bylaw.pro is to help victims of human rights violations. The project aims to increase access to legal assistance for citizens in need and promote legal literacy of the population. 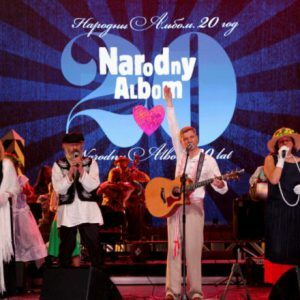 Authorities allow ‘Narodny Albom’ show with banned performers in the lead. The Minsk authorities issued permission to hold a concert themed on the popular project Narodny Albom in Minsk, in February 2017. Belarusian rock musicians Liavon Voĺski and Zmicier Vajciuškievič who have long been banned from giving concerts in Belarus for their critical attitude towards Lukashenka’s regime star in the show. Nobel laureate Svetlana Alexievich opens intellectual club in Minsk. A year after receiving the Nobel Prize Svetlana Alexievich launches her intellectual club in Minsk. The first meeting will be held on 7 December, at TUT.BY Gallery with the Russian philologist Olga Sedakova as an invited speaker. The club meetings will be held monthly and designed to help "find the basis, which helps a thinking person to survive." Mediakritika manual received a prestigious ADAMI award. Commissioned by an independent media watchdog Mediakritika.by, the interactive guide What is Hate Language? became the first Belarusian media product, awarded by ADAMI festival that encourages cultural diversity in Eastern Europe. The Mediakritika video guide was designed to learn Belarusians to indicate the language of hate and avoid it in everyday life. More CSOs to have access to the state budget. Until the end of 2016, the Belarus Parliament will consider the incorporation of the state social contracting in the law on prevention of the spread of diseases dangerous to public health. This means, that CSO services funded by the state can be expanded into new areas, namely, public health and social support of persons released from prison. Costs of protest. TUT.BY issues a rating of activists according to the number and amount of fines discharged. All data is taken from open sources, media and human rights defenders. For 1,5 years, the total fines amounted to almost $55,000; the list headed by Alieś Makajeŭ, a leader of entrepreneurs with a fine of $9,700. Havary Praŭdu transforms into political party. On 12 November, Havary Praŭdu/Tell the Truth movement gathered over 400 supporters in Minsk to sum up the results of its "strategy of peaceful changes" and adopt a strategy 2020. The forum decided to register the movement as a political party – they need 2 years and have at least 1,000 members for this process.